Supreme Court Decision Just A First Blow To Organized Labor This Spring? 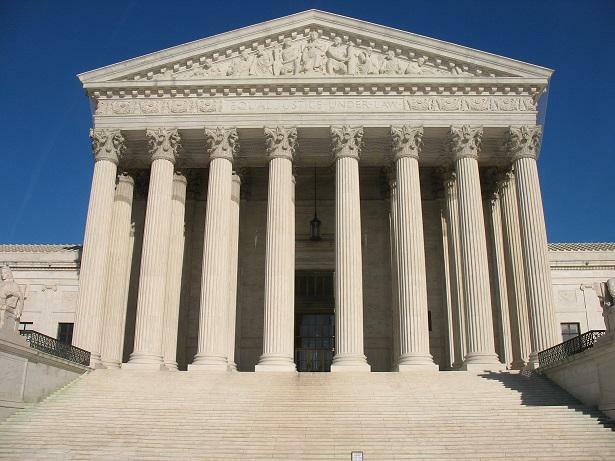 BUFFALO, NY (WBFO) – Supporters of organized labor were dealt a legal blow by the U.S. Supreme Court Monday, which ruled 5-to-4 that companies have the right to prohibit collective grievances by its workers. It raises the question: is this just the first blow organized labor may face by the nation’s highest court this spring? Monday’s ruling, a 5-4 decision with newest justice Neil Gorsuch writing for the majority, states that employers have the right to prevent workers from collectively seeking action over workplace conditions such as pay and hours. The decision, which is backed by the Trump administration, also gives businesses the right to require workers pursue any such complaints individually through arbitration. The practice of requiring individual grievances over class actions is already happening in businesses such as the credit card industry, said Arthur Wheaton, an industry education specialist with the Worker Institute at Cornell. By placing the burden on individuals, he says, it creates an environment that can prove daunting to many. Monday’s a decision is a setback for organized unions who work to represent the workforce as one body, providing to employees strength in numbers, as Wheaton described it. Organized labor, especially public employee unions, are now nervously awaiting a decision in another criticial labor rights case, Janus v. AFSCME Council 31. At issue is whether employees who don’t wish to pay union dues must still do so under fair share rules. It is especially an issue in “right to work” states where employees have the right to opt out of dues but remain protected by collective bargaining. At risk, according to Wheaton, is the financial ability of unions to represent their members. If people want the right not to belong to a union, he suggests employees should have such a right but along with it waive any of the fruits of the union’s labor. This case is being retried after the Supreme Court, with a seat left vacant following the death of Antonin Scalia, voted 4-4 in the original case. With Trump’s pick Gorsuch now on the panel, many believe this ruling, like the one announced Monday, will lean in favor of the employers over the employees. A decision on Janus v. AFSCME Council 31 is anticipated in June.